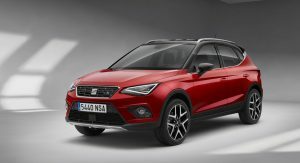 After the Leon and Ateca, the Arona is SEAT’s latest vehicle to benefit from the Digital Cockpit. 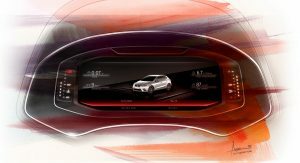 The system uses a 10.25-in interactive and customizable display, which shows everything, from the classic information found on the analogue dials, to navigation and full-color maps, although the latter are available as an optional extra. 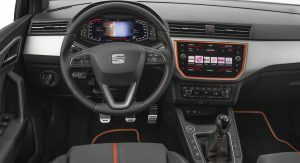 SEAT says the Digital Cockpit provides three main information displays, called Classic, Digital and Dynamic View. The first one displays the classic features of the analogue dials, with extra data shown between them, such as navigation, music, phone, assistance info and driving data. Digital allows drivers to find parking facilities, garages and follow instruction easier, maximizing the pixel dense display and showing detailed mapping information. They can also zoom in or out, and have access to the aforementioned menu information, too. 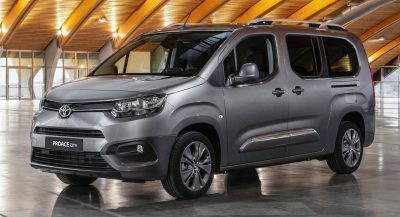 Finally, the Dynamic improves the view of turn-by-turn directions and gives the driver access to the vehicle’s status, as well as assistance features such as Lane Assist, Blind Spot Detection and Front Assist. 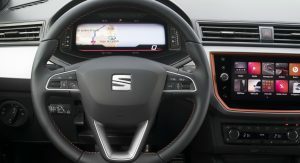 All three main information displays can be accessed by pressing the ‘View’ button on the steering wheel, and they also support limited customization. “We are fully committed to offering our customers the best quality design, bringing in the precision of a classic gauge into the digital world, where each pixel is designed with the same accuracy. 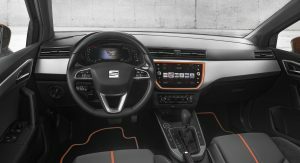 Taking advantage of this disruptive digital environment, our interior car design upgrades to the next level”, said the SEAT Design Director, Alejandro Mesonero-Romanos. 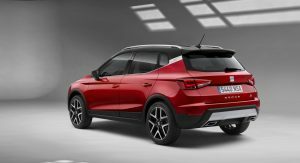 Unveiled last summer, the SEAT Arona is the brand’s second SUV, after the compact Ateca. 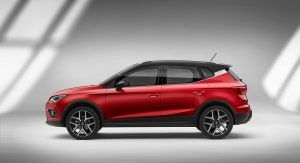 It goes up against the Renault Captur and Peugeot 2008 in the subcompact segment, and starts from €16,290 ($19,035) in Germany, and £16,905 ($22,184) in the United Kingdom. 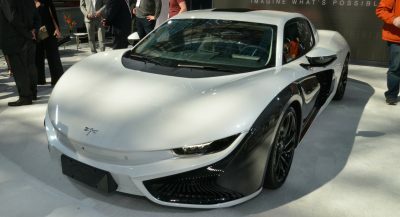 I don’t see any difference between this and an Audi. I’m actually surprised at how different the Golf/Passat/Audi/Seat units look. I would have though they all would be the same. I REALLY like the look of this when the gauges are shown with the map in the middle. Very funky. Much better than mine. I also like the idea that you can do the whole screen as a map. I wish my car could do that. 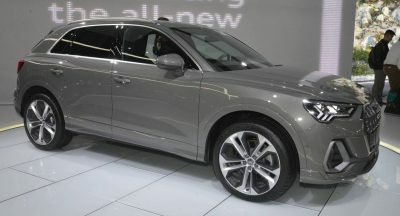 When I see VAG, I think of something totally different, yet quite the same. I love my car’s digital dash. I would hate to go back to analog dials. Using the map view is just brilliant. May I ask you what car do you own? 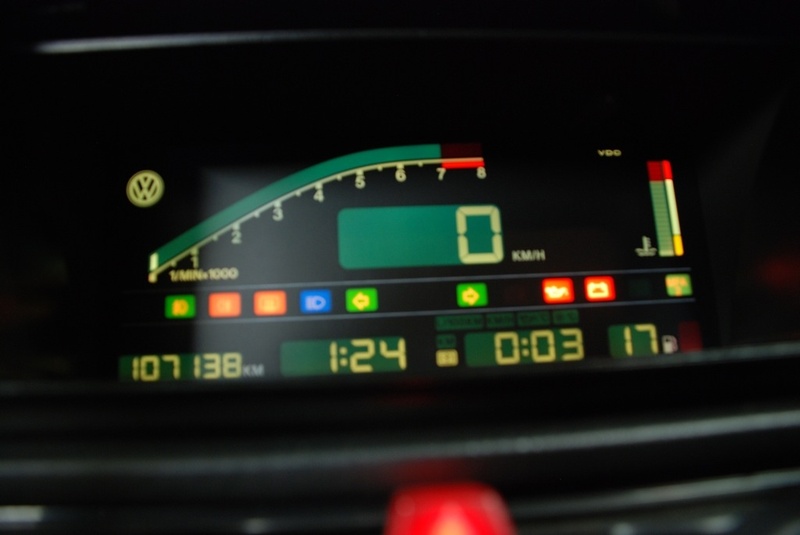 Passat B8 with Active Info Display. Pretty cool but I worry it’ll look dated in 5 years in a way a normal instrument binnacle wouldn’t. Really? I think majority of cars are going to this very soon. They are. Doesn’t mean the graphics won’t look dated in a few years. Hmmm…if they are everywhere then it becomes the norm and our eyes are used to it then it wont be dated because it would be zeitgeist. But with every new car generation the graphics will have improved so the previous ones will look dated. That’s my point. That can indeed be solved by updating the skin if it’s possible. The functionality of this outweighs the risk. Well… The only added functionality I can think of is having the satnav’s map in front of you but that only works with the car’s satnav doesn’t it? It doesn’t work with Car Play for example? It is VERY handy. I promise you. OK, tell me though, can you have smartphone maps from Car Play for example project on the screen as well or does it only work with the car’s satnav? 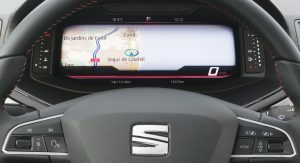 It’s only the car’s satnav, but it is connected, so traffic conditions and hazards are shown on there. I even (twice now…) got warnings on the screen that someone on my route is driving on the wrong side of the road… Also, having this screen on close-up routes and the middle console screen zoomed out, it’s a joy on long routes that I drive routinely. It’s just a matter of upgrading the GUI/skin into tomorrows fashionable & trendy design… as the Digifiz. Ok, so it’s from the VAG parts bin. It looks familiar. aww that’s cute seat. you’re still spanish owned by the germans. pitiful. 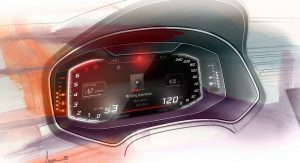 I don’t get why VAG can’t integrate the fuel and temperature gauges into the digital display, those cheap looking LED dots left and right of the binnacle are found up to the most expensive cars using this parts bin screen, including Bentley and Lamborghini. Everyone else can. Or do they have as many of those left as Toyota has those 80ies digital clocks, so they will use them for the next 20 years or so? That said, I agree that these will age quickly (just look at those 1980ies digital dashes, and there is also a reason why more expensive watches are always analogue), and of course they are cheaper to produce than normal instruments nowadays.